Worldwide, aquaculture is rapidly expanding, and, with it, the need for fish food. But fishmeal, traditionally sourced from marine fisheries, risks depleting the fisheries, comes in limited supplies, and is expensive. “During the 2010–30 period, prices are expected to rise by 90 percent,” says a December 2013 report by The World Bank, Fish to 2030 (PDF Download). Fishmeal’s high value is good news for those working to advance commercial-scale biofuel produced from marine microalgae. 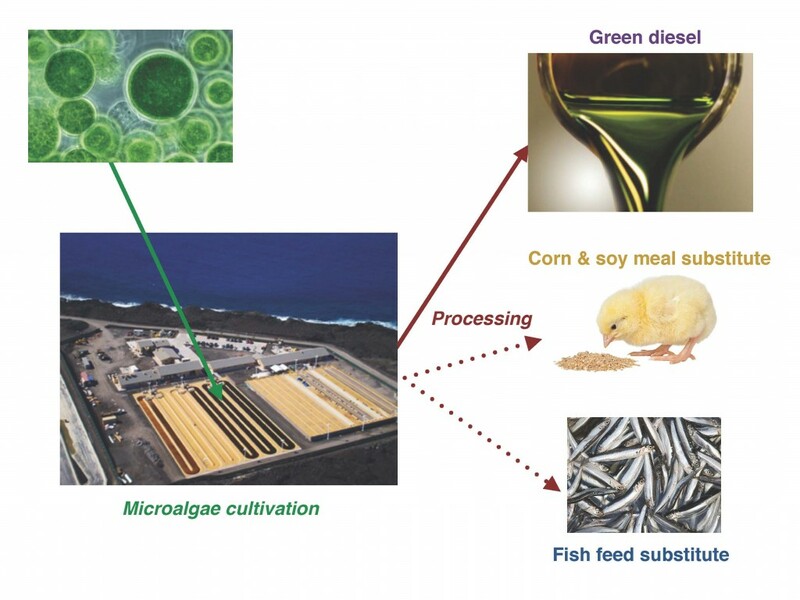 The algal biomass remaining after oil extraction could deliver a fishmeal substitute that makes algal biofuel as an industry economically competitive, so says a study published March 4, 2016, in the journal Environmental Science & Technology (EST, DOI: 10.1021/acs.est.5b05381). At about 7 million tonnes, aquaculture fishmeal has a much smaller market than animal feed serving swine, cattle and poultry, which comes in at about 1 billion tonnes. But it’s also more than three times as expensive and that makes the difference. “Despite uncertainties, without any public financing, we still found a greater than 50 percent chance that the process is going to be profitable with the way we produce fuels now,” says Gerber. “So it is not about enhancing production or financing. 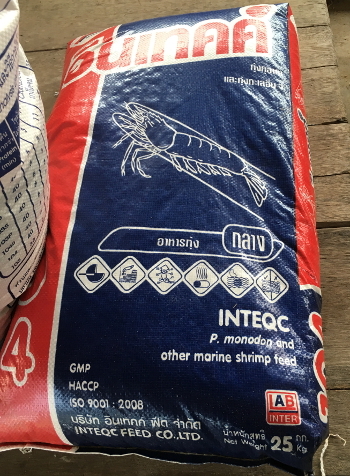 What matters is how much you can sell your co-product for.” In fact, scale up production to 39 g/m2/day, and fishmeal might turn profits without any fuel sales at all. Ultimately, Gerber thinks, a combination of co-products may work best. And biofuel is about the environment. The fishmeal, for sure, would help save the world’s wild fisheries.